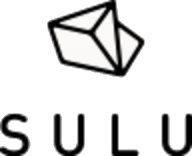 Sulu is a new take on Content Management. It is built from ground up on the Symfony CMF. It is a flexible solution for content management and is able to power applications as well. Sulu uses existing Content Management Components in the back end. This has allowed the team to focus more on the content editing experience. This results to Sulu's back office is very fresh and usable. Sulu being a relatively fresh system there are some features that are still missing, including comprehensive layout management. At this point Sulu is maybe best used as a headless content repository or other sites which don't need flexible site management. Sulu is a solid option if you are looking for something that is strictly focused on content creation, not site management. This is similar to Contentful, Prismic and other Content API vendors.